We have lots of different and unusual gourds to choose from. These will give you lots of color and texture for your decorating! 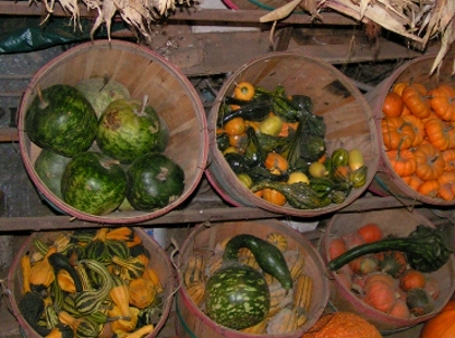 The gourds are priced by each according to variety. Some of the smaller ones are priced by the dozen. Many gourds to catch your eye!